At Sheldon, the museum is a laboratory where people learn and engage with art. The gift you give today supports art education and provides transformative experiences for generations of students and museum visitors. K–12 arts education reaches 11,000 Lincoln Public Schools students annually through curriculum-based tours led by volunteer docents. Your support helps meet rapid enrollment growth and develop new programs for high school students. University engagement connects students, faculty, and diverse areas of study. 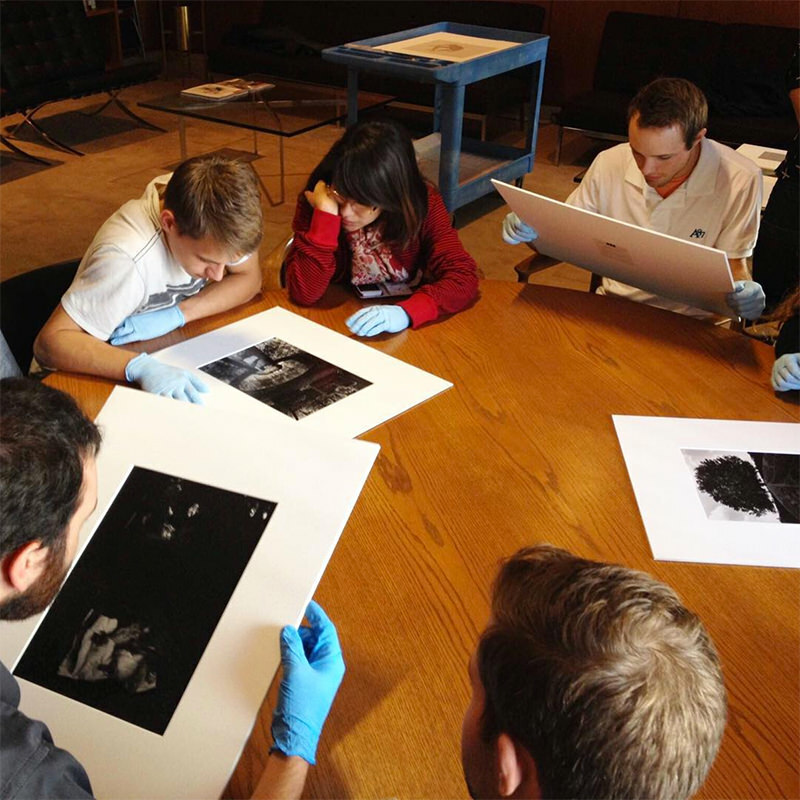 Your support enables faculty to teach directly from exhibitions, allows students to study art in depth, and creates opportunities for research of the collection. Exhibitions impact 80,000 museum visitors annually. Your support strengthens exhibitions that use art to explore contemporary issues. Your support enables Sheldon Statewide exhibitions to travel to communities throughout Nebraska. Online access to Sheldon’s permanent collection makes 12,000 artworks searchable. Your support creates curriculum-based tools and helps advance digitization of the collection.